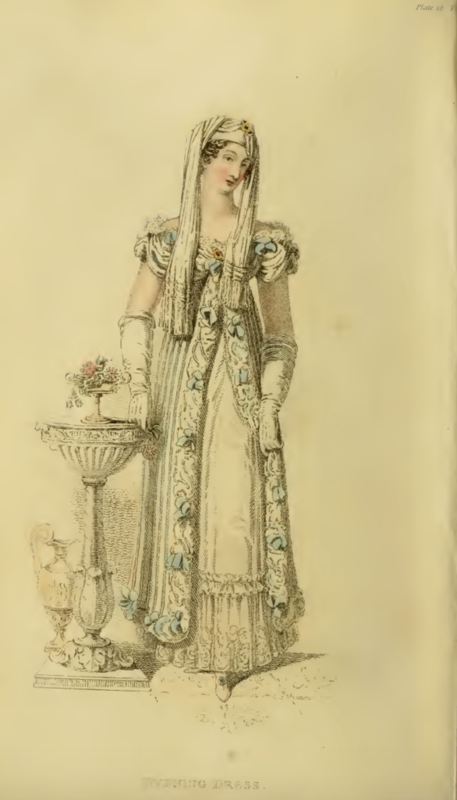 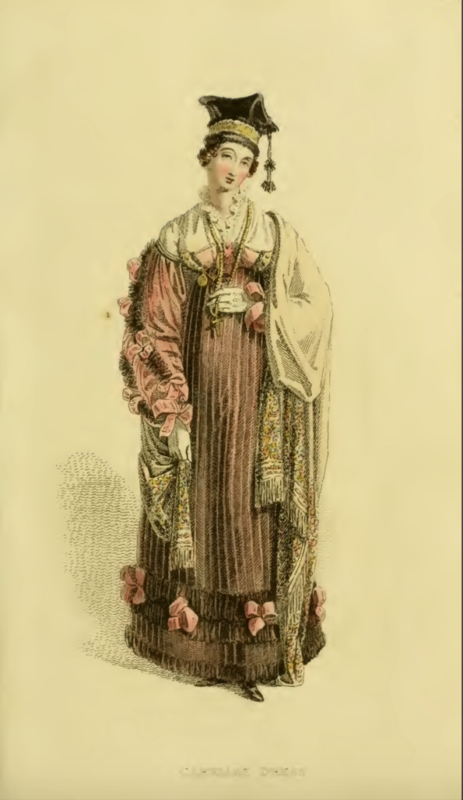 The first plate in Ackermann’s Repository for September 1815 is described as a “Dinner Dress,” a label I can’t remember seeing in earlier Ackermann’s fashion plates. 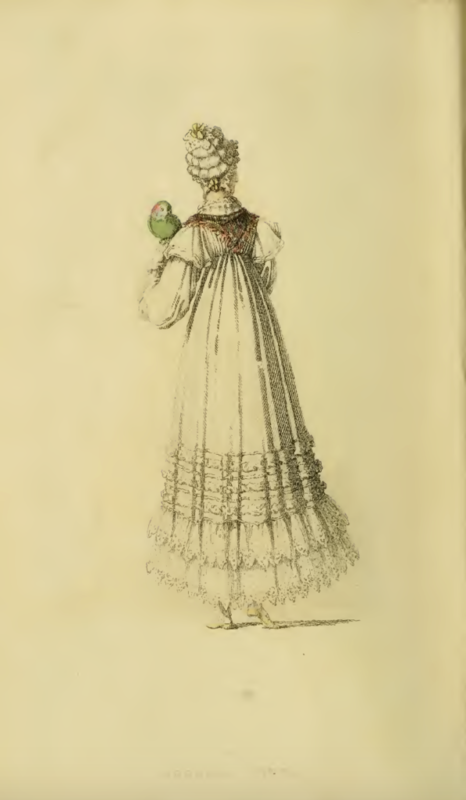 The gown, though elaborately trimmed, does have a less formal feel than the typical evening gowns featured in Ackermann’s pages. 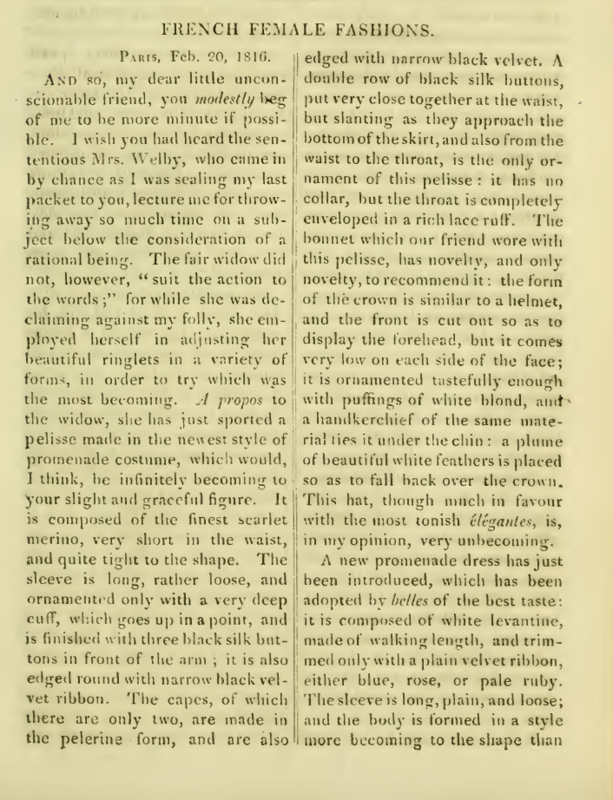 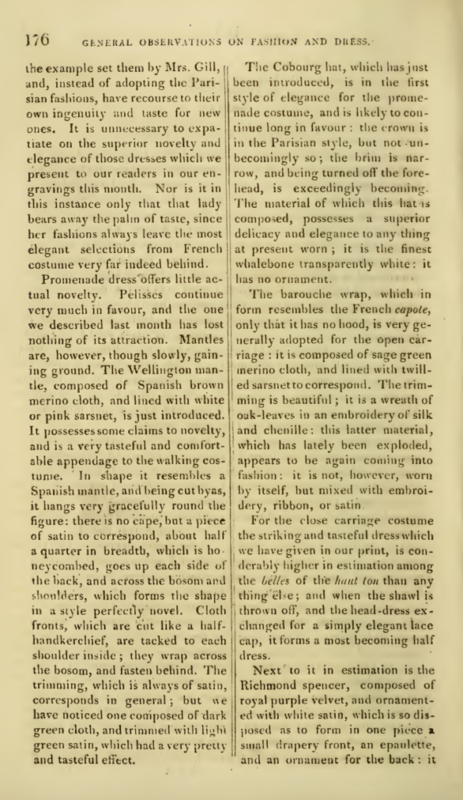 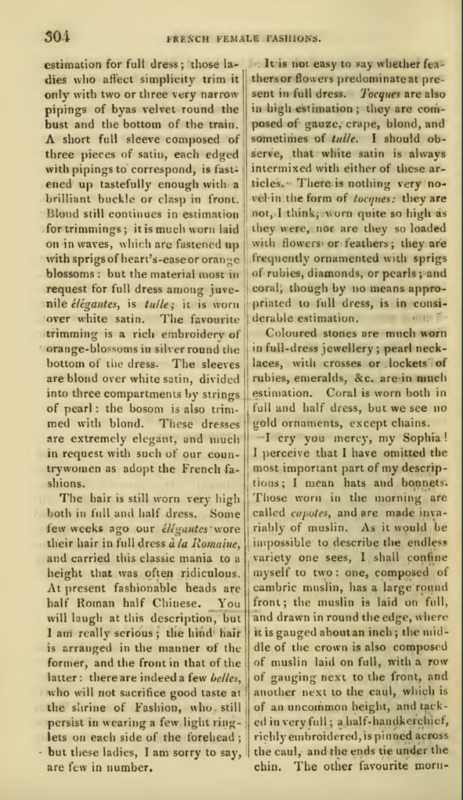 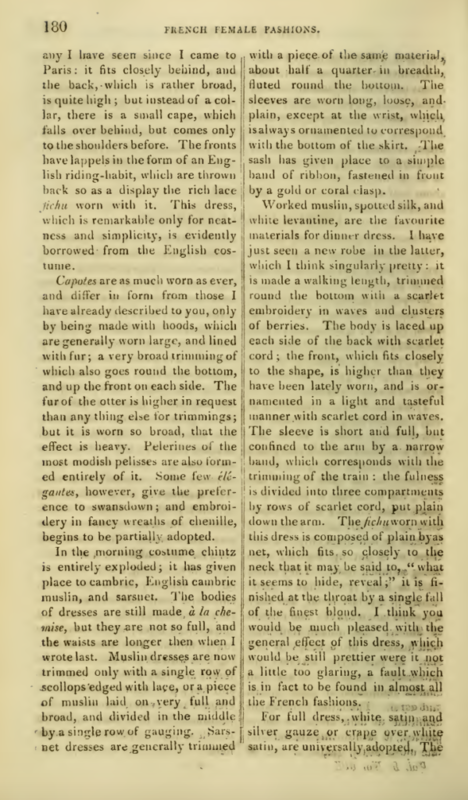 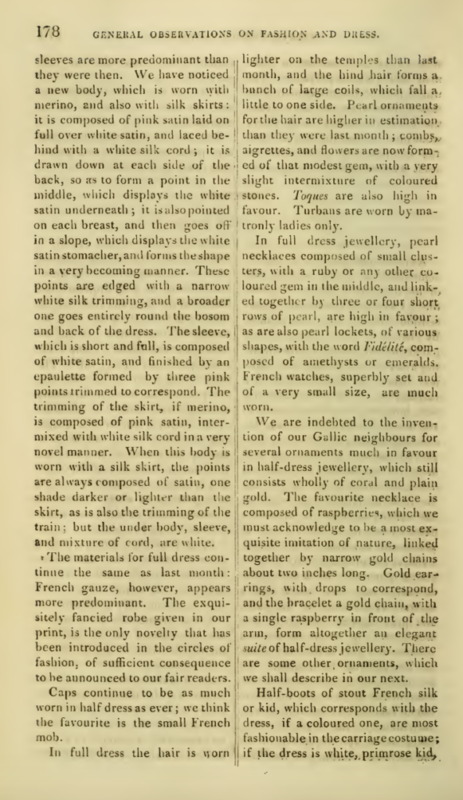 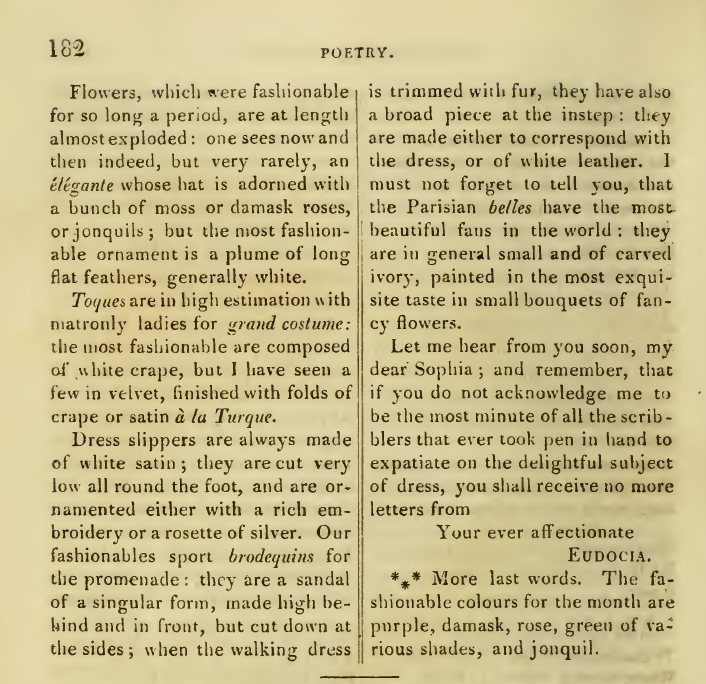 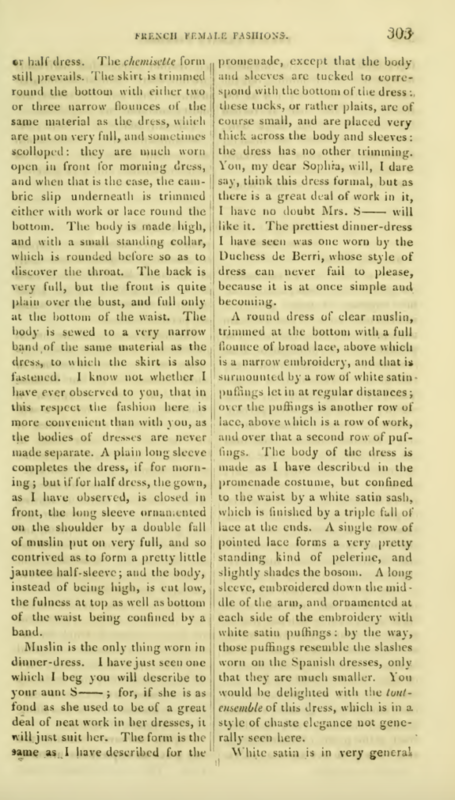 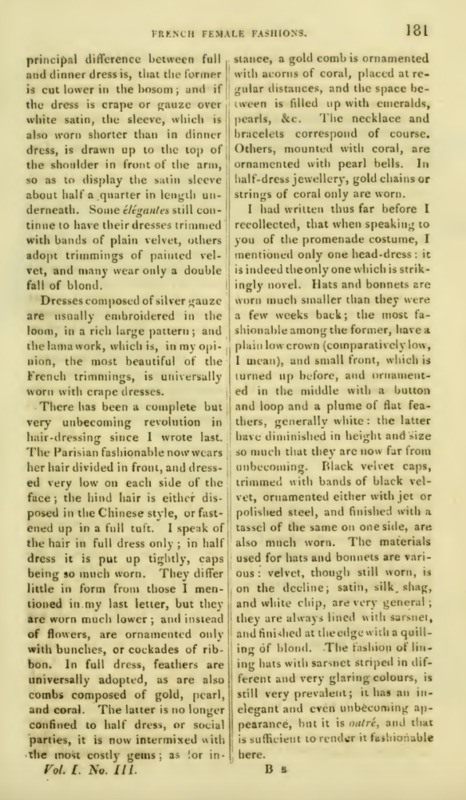 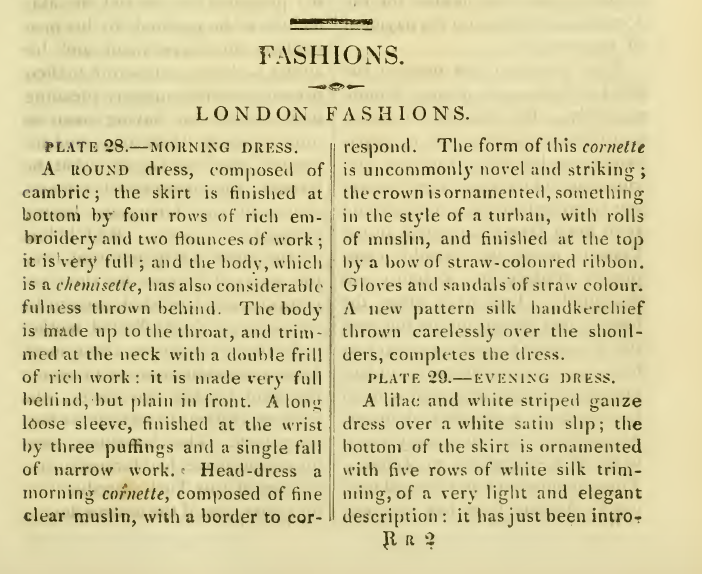 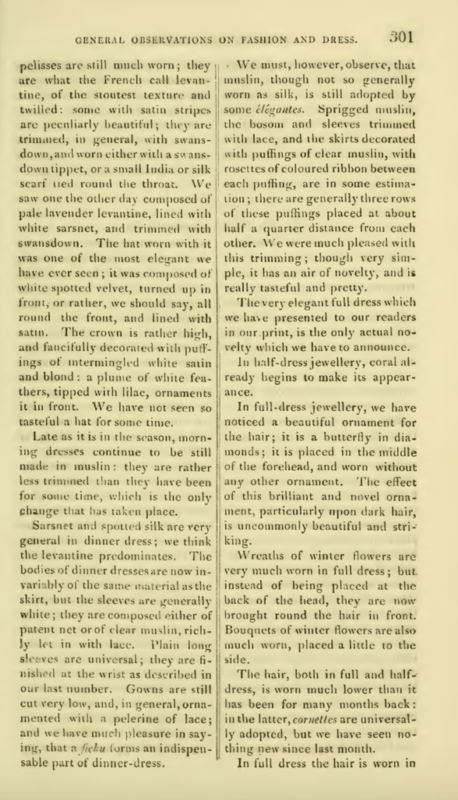 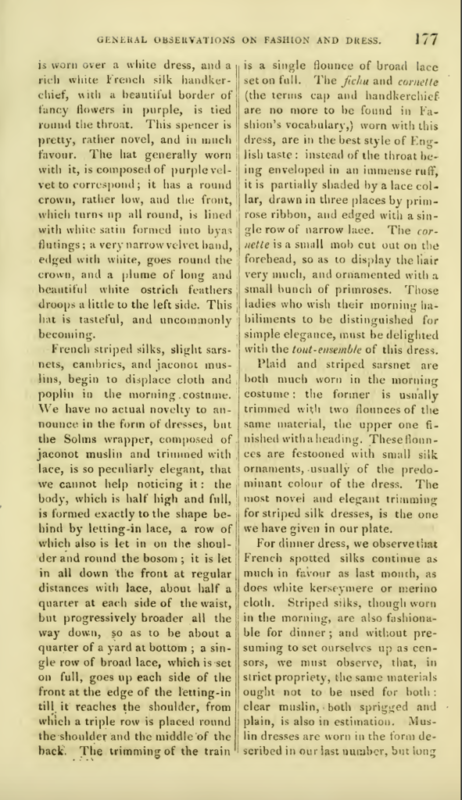 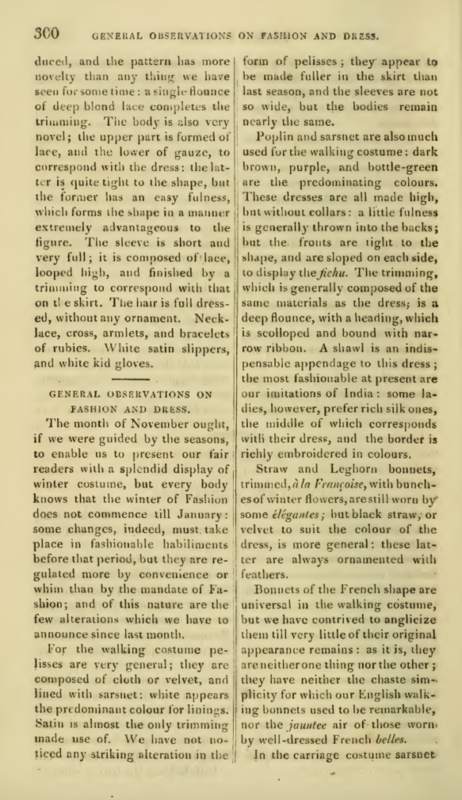 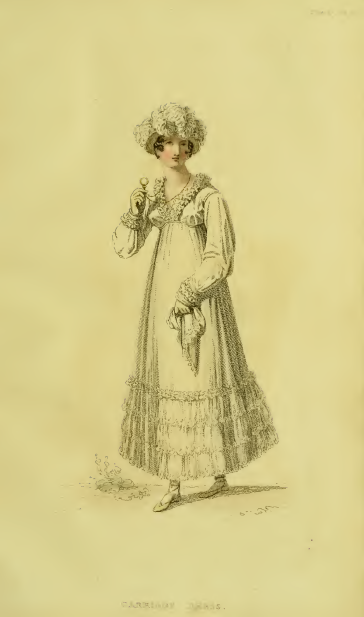 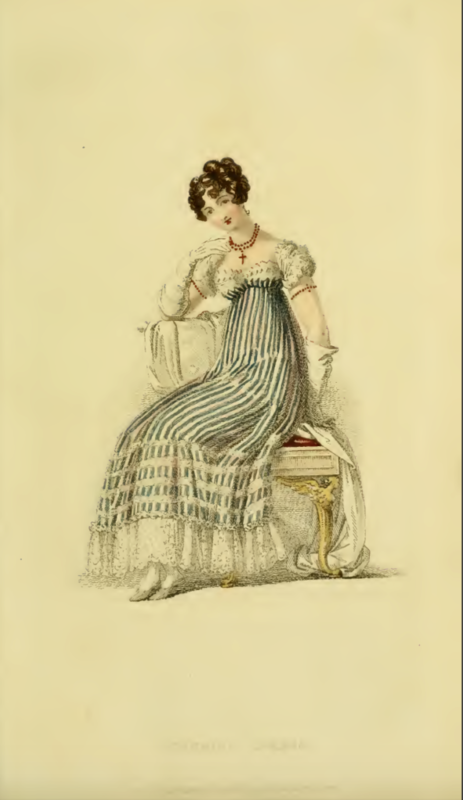 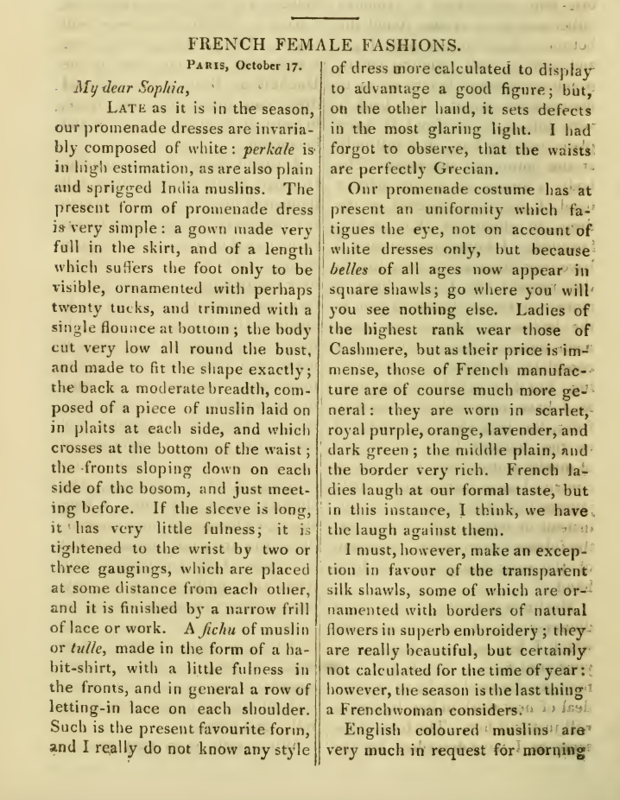 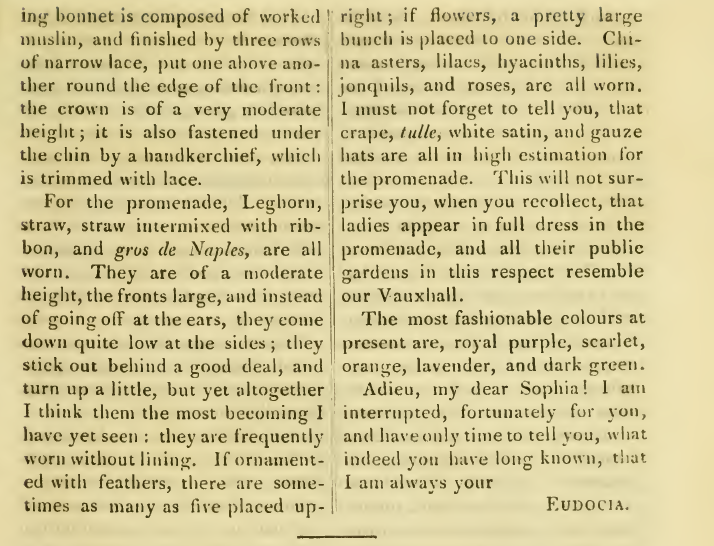 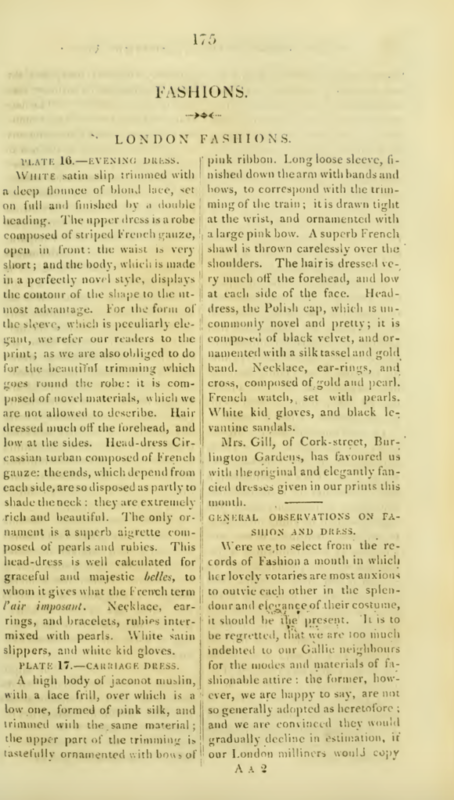 The copy says the overdress (worn under a white satin slip) is “primrose-colored French gauze,” and makes no mention of stripes, both of which seem to be at odds with the actual dress depicted in the plate. 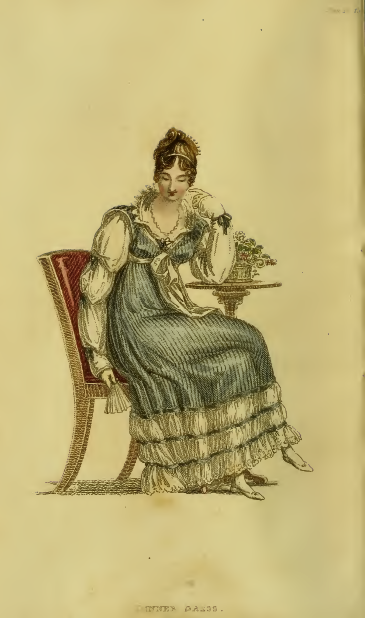 Both this dress and the white carriage dress of plate 17 feature the deep rows of flounces that seem to be all the kick in 1815. 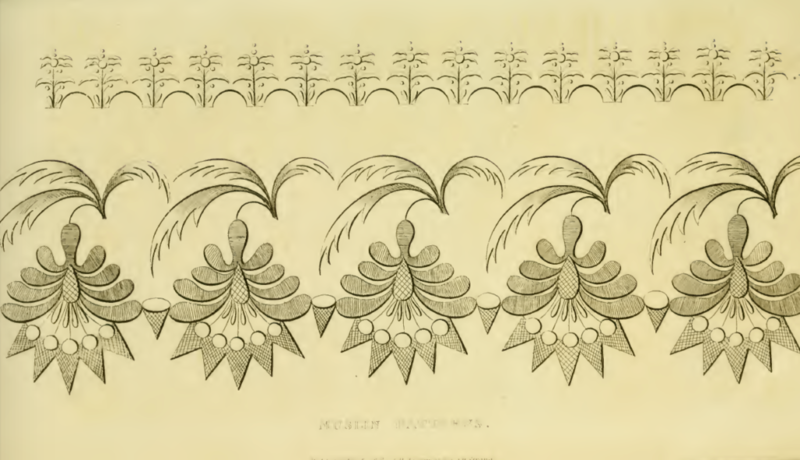 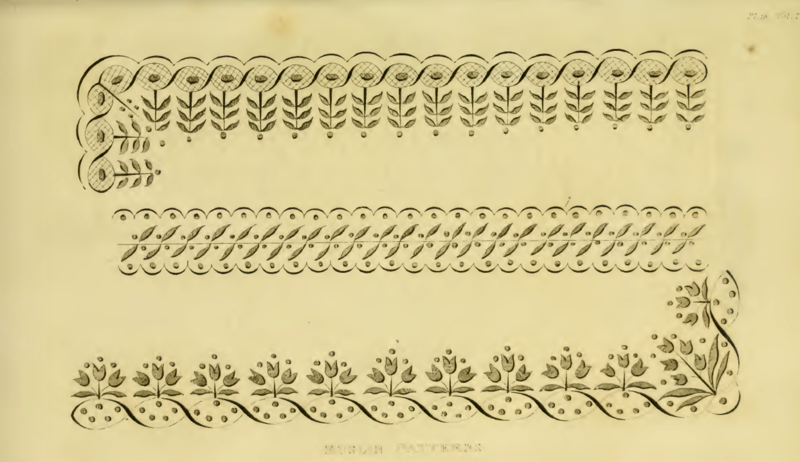 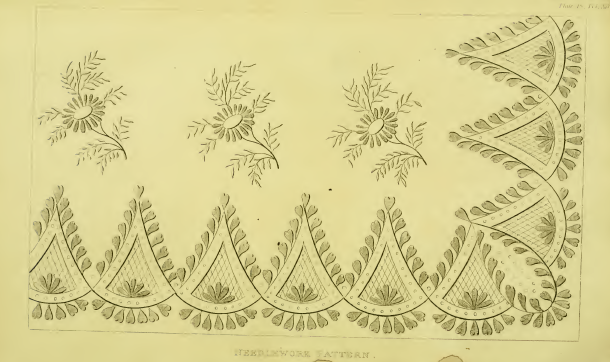 An embroidery pattern concludes September’s Ackermann’s Repository, a pattern featuring heart-shaped leaves and aster-like flowers, perfect for an autumn project.